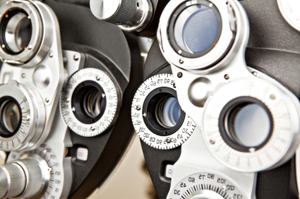 Welcome and thank you for choosing Southpoint Eye Care for your medical needs. Whether you are in need of routine eye care, diagnostic services or specialized surgery to correct medical problems with your eyes, we want you to know that you are our number one priority. We have an excellent staff who are dedicated to quality customer service. Our mission is to provide you with the best medical care in a friendly welcoming environment. We believe in a strong partnership with our patients and we encourage you to ask any questions you may have concerning your care. Again, we welcome you and look forward to creating a strong partnership for your good health.